Today is my last day with the Heritage Service as I live to take up a new archive job elsewhere in Scotland. I’ve had a great 4 years here and have been very lucky to meet and talk with many people who are passionate about heritage in the islands. I hope that the work I’ve done has a lasting impact – both through the new facilities being developed at the Lews Castle site for archives, but also by people realising there is help and advice available. One of my favourite places to visit in the islands is Loch Skipport in South Uist, so this is my choice of photo for today! Not only do you get to see the wild ponies on the road to it, but I’ve also seen buzzards and eagles from here although sadly never any otters. 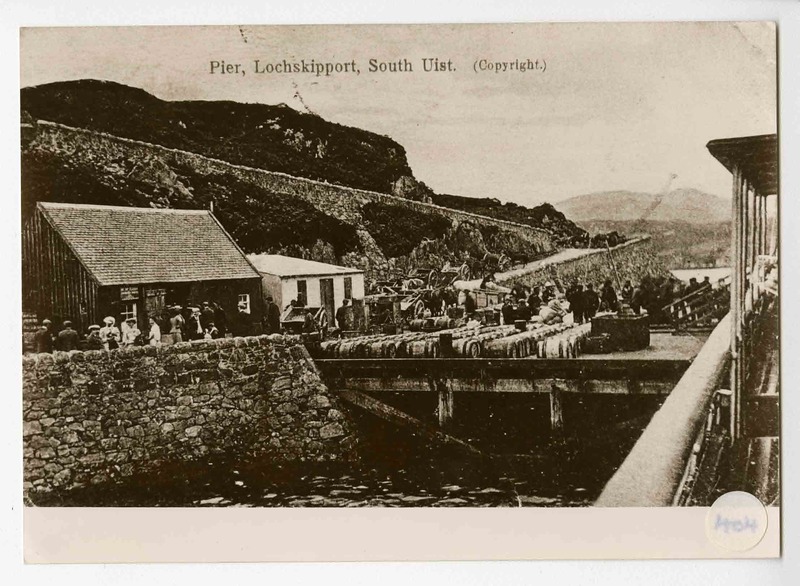 The ruins of the pier are still visible and when you are there its difficult to imagine it ever having been as busy as this postcard shows it.